I've been very blessed to be able to call Morocco my home for the past 5 years and I've been extremely fortunate that Allah SWT has allowed me to cross path with some very inspiring Moroccan elders, of whom I've learned a lot from and who I feel, are the very backbone of the Moroccan Society. They work extremely hard for their families, and show no traces of slowing down even with their old age. They've taught me gratitude, they've taught me contentment and most importantly, they've taught me that having 100% complete reliance on Allah SWT is what makes them go through their day to day with hope. Even when things get extremely hard. 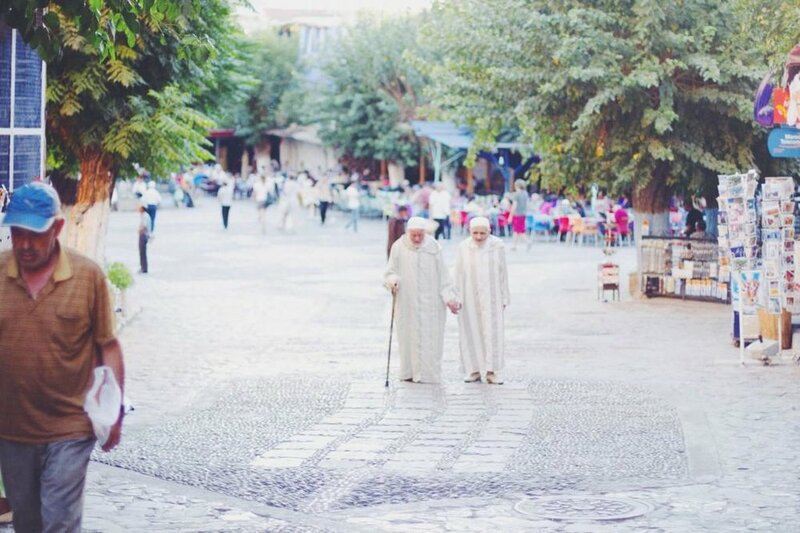 When my team and I decided to do a Charity Drive for Ramadhan this year, it was extremely natural for me to decide to raise funds for these special ones - the Moroccan elders. It seems that wherever I go in Morocco, I get to meet amazing Moroccan women. One particular woman who inspired my tremendously is Hajjah Rahmah, an elderly lady I met at the souk where I go to source for fabrics. Hajjah Rahmah is a scrap fabric collector. 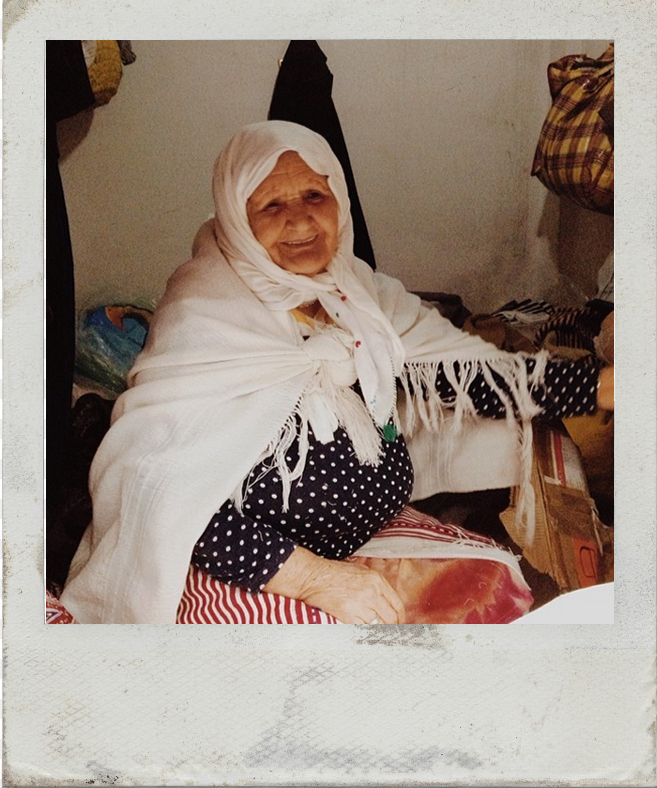 She collects scrap fabrics from tailors around Tangier and she then sells the little that she has. Hajjah Rahmah is old and frail but she goes to work with a smile everyday! When asked how much she sells them for, she always, always says to me, ‘Pay however much you want, my child. 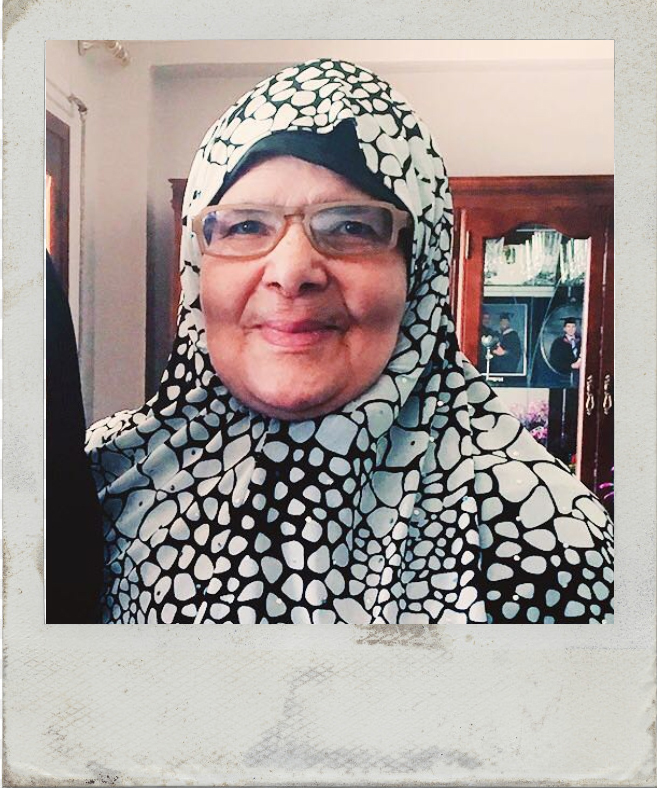 May Allah bless your parents.’ - always generous in her outpouring of duas to me. She may not earn much, but every day she will be at her tiny little store, ready to serve anyone who comes to her. And this made me wonder: in contrast to her, how many of us complain about our jobs despite working in comfortable, air-conditioned offices, earning much more than what Hajjah Rahmah does? 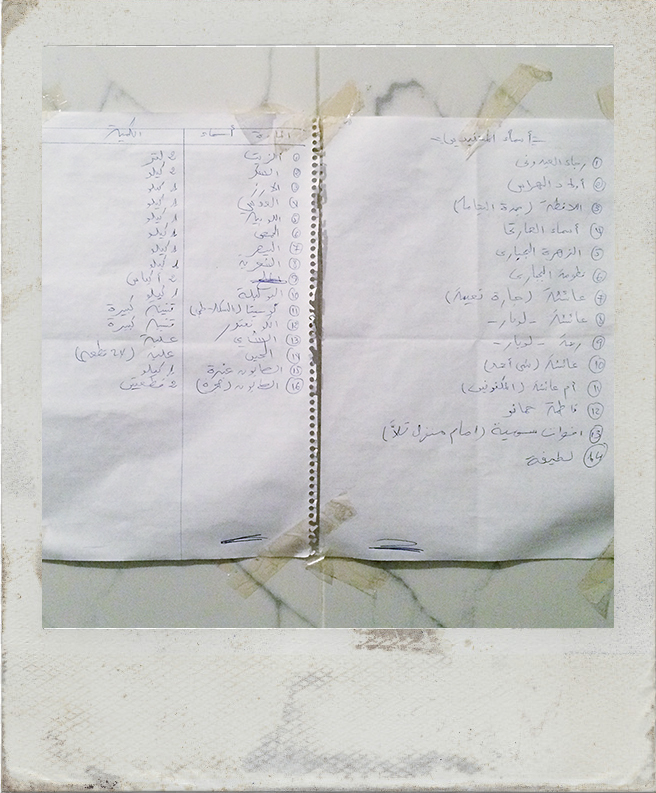 You see the picture of the two papers taped to the wall? I was staring at it for the longest time trying to figure out what was on it. So I asked my father in law, "What's this Baba?" He gently answered, "It's a list of names of 30 families and every month, basic necessities like flour, sugar, toiletries (and other things) would be distributed to them. 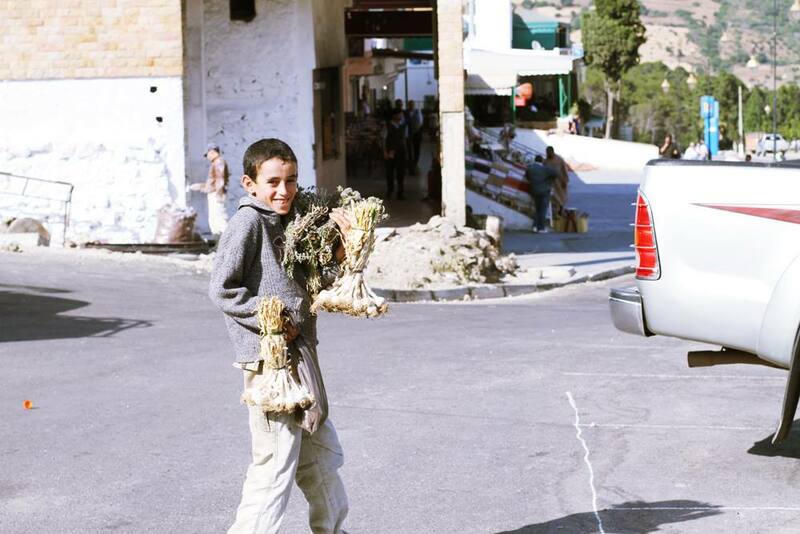 My siblings and I just pull together every month, and chip in a bit so that we can help these families (back in my village in Chefchouen)." And he said it with suchhhhhhhh humility, Ma Sha Allah, that I was too embarrassed to even look at him. Even though I've lived with him for years, I had no idea. He added that his Sisters who were still staying in Chefchouen would be in charge of distributing the necessities, and that they have been doing this for a while now. It made me realised, that if we all come together, we can help and serve many! It doesn't matter who we get together and collaborate with, it can be our siblings, our neighbours, our friends - anybody and everybody - as long as our main intention is to serve others, and to serve consistently - like what Baba and his family has been doing for years. The funds that we raise for this Ramadhan Special, In Sha Allah, will be given to Baba, who knows specifically who are the ones that are desperately in need of help. They are in remote and poor villages in Morocco and Baba, K and I will go personally to the families and elders in need to give the funds that you have generously contributed. My team and I will also match your donations, dollar for dollar (capped at SGD$2400) and we aim to raise a total of $10,000 In Sha Allah. I will personally share updates through my Vlogs / Love Letters as to how we will channel these funds! As of 15 June, we've raised $15,000 out of the targetted $10,000, Alhamdulillah!